Last week, we looked at who should and who shouldn’t use driver tracking apps. We concluded that the best candidates were businesses who hired contractors and field employees. This week, we’ll take a step further. Let’s say we’re one of those businesses. 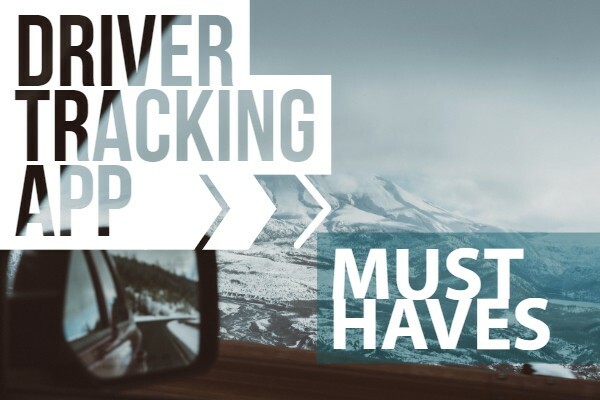 The question then becomes what are the most important things to look for in a driver tracking app. Some essentials include multi-platform, live tracking, rule creation, job management, and on-the-background. One of the most important driver tracking app features is also one of the most basic; the app should be available on both Android and Apple. A lot of apps are exclusive to a single platform. For instance, some developers take a while or even abandon launching an Apple Store app because of its extensive rules. Apple’s App Store screens apps for things like user safety, usability, and legality. Another essential is getting live tracking. A lot of apps locate and report data but have a slight time delay. For instance, some apps ping every 15 minutes. This becomes a problem when businesses give inaccurate information. Imagine how a customer would react if they were told a package will arrive in the next few minutes when in reality it’s not due for much longer! Speaking of customers, some businesses need to create customer service rules. The most common rule is location zones. Driver tracking app users should be able to create zones and measure when employees arrive in those zones. Besides zone rules, GPS apps can create other useful rules. For instance, some businesses monitor employee safety by measuring speeding rules. If businesses need a tracking app, they also most likely manage jobs. A job is any event where an employee visits a customer or performs a service. In that sense, many businesses are looking for ways to assign and manage jobs. For instance, Mobile Dispatch has a dedicated job assignment screen. Businesses can use this screen to schedule jobs, assign due dates, and measure if staff are meeting the deadline. Lastly, apps should run on the background. In other words, these apps launch as soon as a phone turns on. The app continues to run until someone turns off the phone. This is an essential business function because it facilitates easier management. Some driver tracking apps are ineffective because users need to manually turn it on. Hence, the app fails when employees forget to open the app or deliberately choose to disable the app. Missed last week’s blog on who should use mobile GPS tracking? Click here to read.